Short of an actual war, the Constitution’s Commander in Chief Clause empowers the president to use force to protect the interests of the United States when they are threatened by a foreign power. Those interests include: (1) defending the United States against an attack or the threat of an imminent attack, (2) defending U.S. citizens, (3) defending our allies when we are obligated by treaty to do so, and (4) enforcing treaty obligations and other international law standards that protect American lives and interests. American interests are implicated here. First, Syria signed the Chemical Weapons Convention, an international treaty which forbids Syrian President Bashar al-Assad from using chemical weapons against his own people. The United States and other nations have determined that he has done precisely that—repeatedly. Weapons of mass destruction (WMD) are in a class by themselves. Chemical, biological, and nuclear weapons pose such a threat to nation-states – capable of killing millions of civilians – that curtailing and deterring their illegal use is in America’s interests. Article VI of the Constitution specifies that any constitutionally authorized treaty signed by the president and ratified by two-thirds of the U.S. Senate becomes part of the Supreme Law of the Land. The United States has both rights and obligations under that treaty, which Syria has now violated. U.S. military strikes in Syria were reportedly directed against chemical weapon targets, including facilities where they were stored or developed. 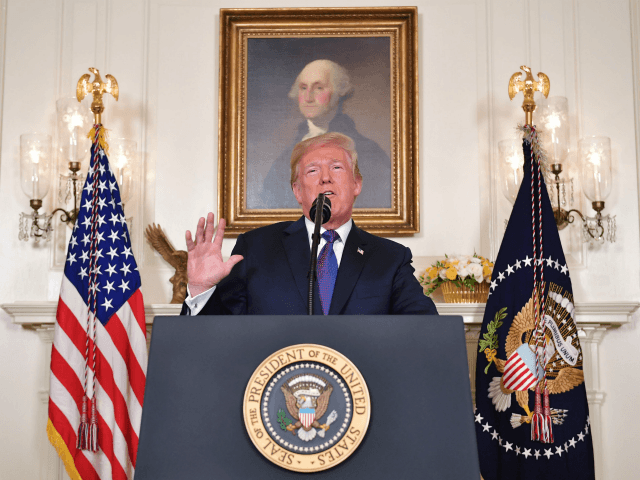 If so, these attacks were to degrade and disable Syria’s WMD capabilities, and hold that rogue nation accountable for violating its treaty obligation to the United States and the other retaliating nations of Great Britain and France. Strikes over a short period, directed against military targets related to the WMD threat, carried out by air power and long-distance force projection instead of ground forces, are within the president’s power short of starting a war where the Constitution would require Congress to authorize the use of military force. Some lawmakers on Capitol Hill are apparently debating whether these strikes were authorized by Congress’s Authorization for the Use of Military Force (AUMF) in 2001 after the 9/11 attacks, as part of America’s long-term international War on Terror. Speaker Paul Ryan (R-WI) seemed to say that the 2001 AUMF would cover Syria, while Rep. Nancy Pelosi (D-CA) argued it would not. But that debate is irrelevant because when the president has inherent constitutional authority to do something, the Constitution’s separation of powers provides that he does not need any permission from Congress. Some of President Trump’s critics may concede this constitutional point and instead say that the president’s actions are illegal because they violate the War Powers Act (WPA – also called the War Powers Resolution), which is a federal statute, even though there is a solid argument as to why the WPA permits these strikes under these circumstances. But even if the WPA did not, the simple answer to that is that the WPA is unconstitutional. Every president – Republican and Democrat (with the possible exception of Barack Obama, who was unclear) – has said so since Congress in 1973 overrode President Nixon’s veto of that ill-conceived statute. Should Congress ever bring a lawsuit challenging a president over this statute, it is overdue for the courts to strike down that decades-old attempt by a left-wing Congress to shackle the president’s constitutional authority over the military. All that is irrelevant here, because the Republican-controlled Congress is supporting this Republican president on this issue, joined by many Democrats in both the House and Senate. There will be no legal challenge. Even if there were, the president would prevail for additional reasons that go beyond the scope of this article, reasons pertaining to Article III standing doctrine under the Constitution and previous cases on the political-question doctrine where foreign policy is concerned. Instead, legal analyses by the U.S. Department of Justice’s Office of Legal Counsel (OLC) going back through administrations of both parties for decades all weigh in favor of presidential power here. This limited military action, taken in conjunction with allied nations, targeting WMD military locations, when WMDs were used in violation of treaties which all of these nations signed, for the purpose of taking a hard line against the use of weapons that are inherently threatening to the United States, is fully within the president’s Article II authority without any approval by Congress. President Trump’s actions against Syria were lawful. Time will tell whether they are also effective at discouraging a brutal dictator’s mass-murder of his own people.